Barren County Agents, volunteers and the KY State 4-H Secretary, Mattea Wyatt, attended the Mammoth Cave Legislative Picnic held at Cason's Cove in Alvaton, KY. Barren County Master Gardeners came together recently for their annual Fall Garden Clean-Up. Pictured from left to right are Noah Shirley, Jeremiah Shirley, Olivia Rhinehart, Casey Lile and Katie Morrison - Barren County 4-H members who received a "Taster's Choice" Award at the 2017 Annual 100 Mile Potluck! Barren County delegation at the KY 4-H Volunteer Forum in Lexington. Congratulations to our 4-H Hall of Fame inductees Lori Miller, Elizabeth Wood, Rochelle Wyatt, Mattea Wyatt, TJ Wood, Alex Wood and Ally Jones (not pictured). Edie Bell, member of the Barren County Homemakers, introduces guest speaker Paul Barko at the annual Homemaker International Night. This year the group learned of the many cultural practices from Ukraine. 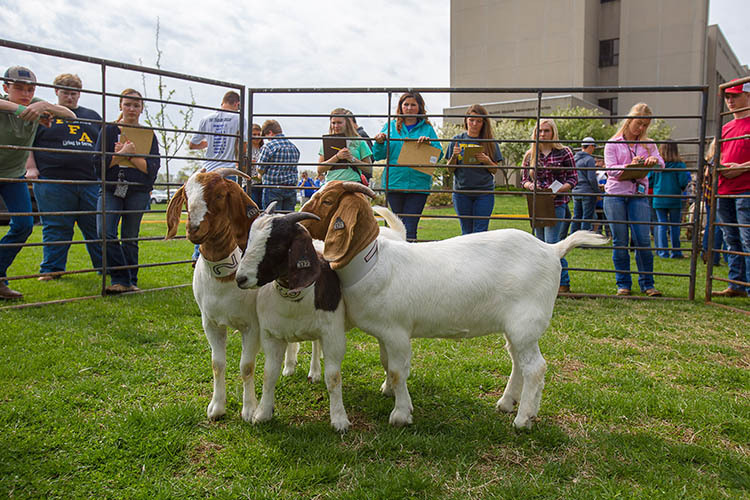 Approximately 2,000 teenagers competed, networked and learned about the College of Agriculture, Food and Environment. Six CAFE undergraduates were named Chellgren Fellows and associate professors Tammy Stephenson and Ryan Hargrove received endowed professorships during an April 20 Chellgren Center ceremony.